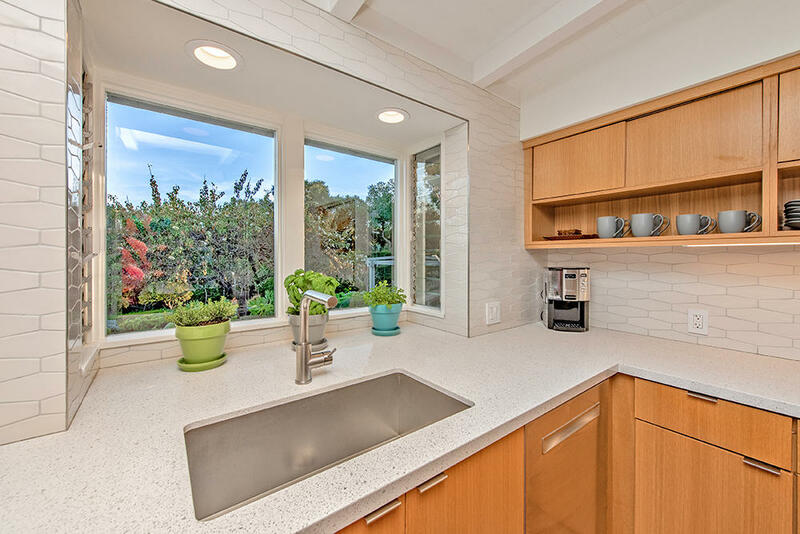 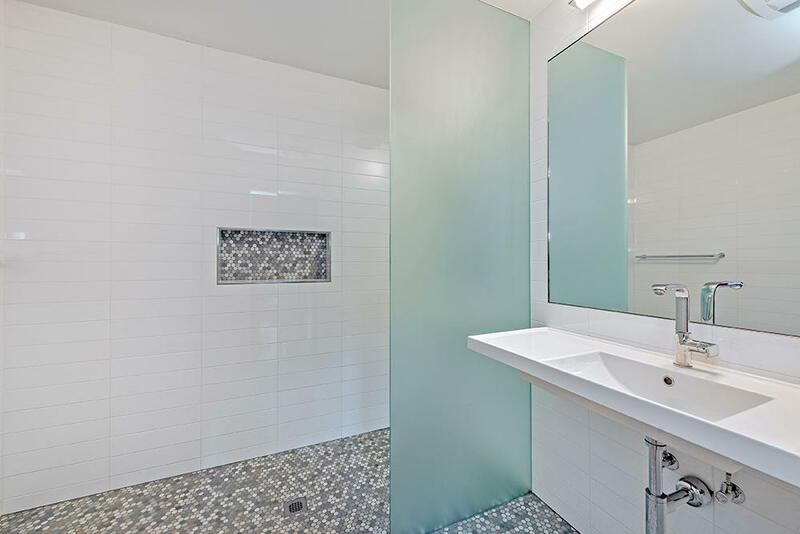 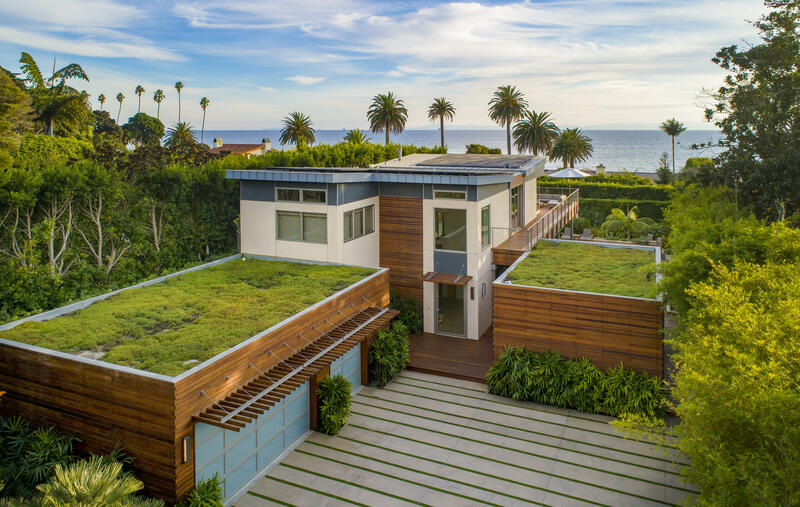 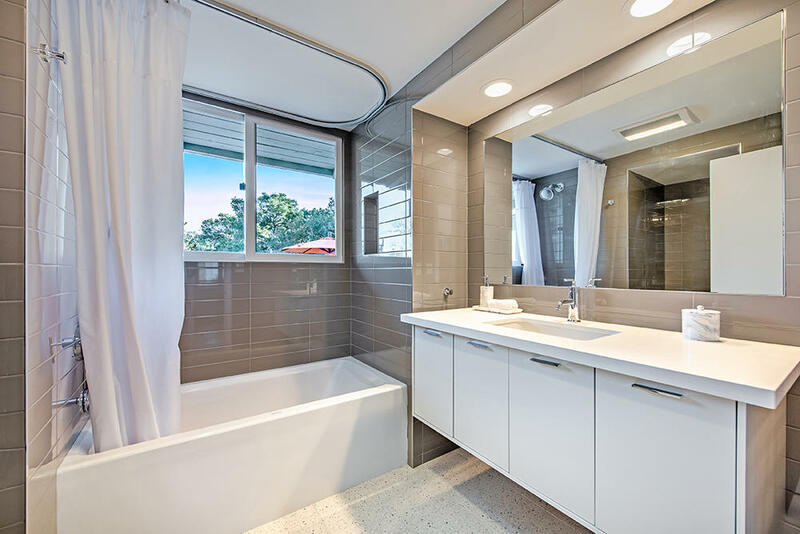 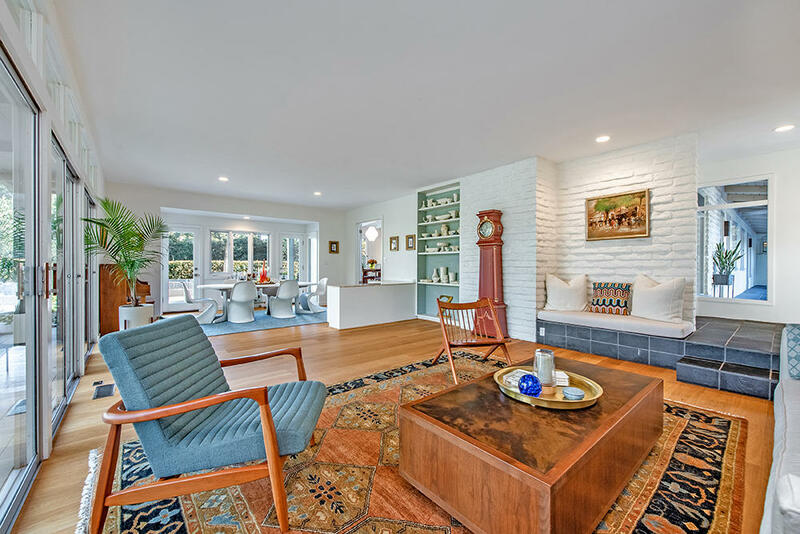 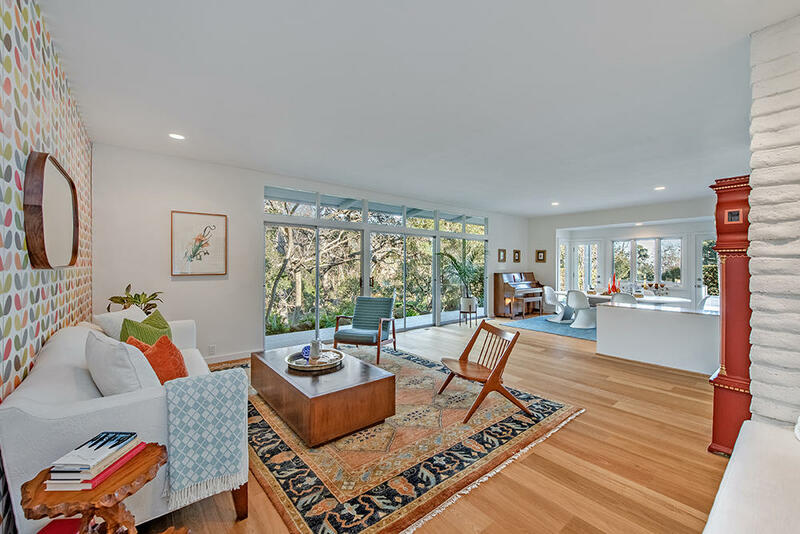 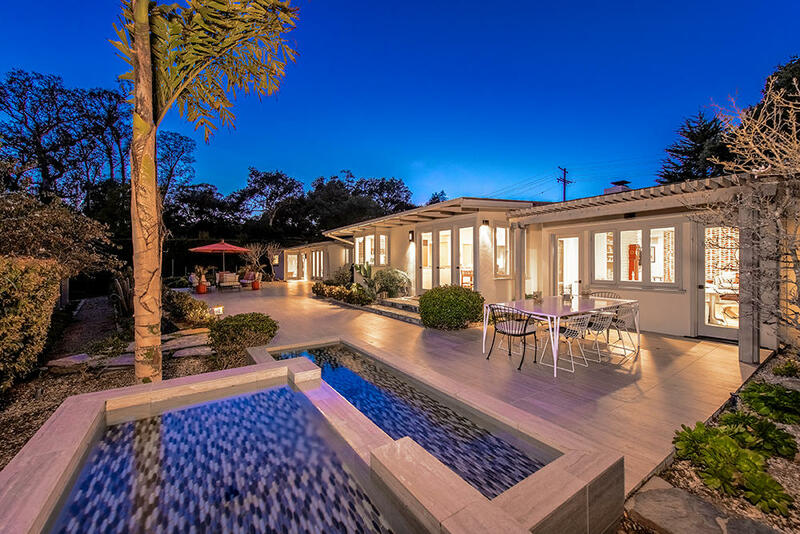 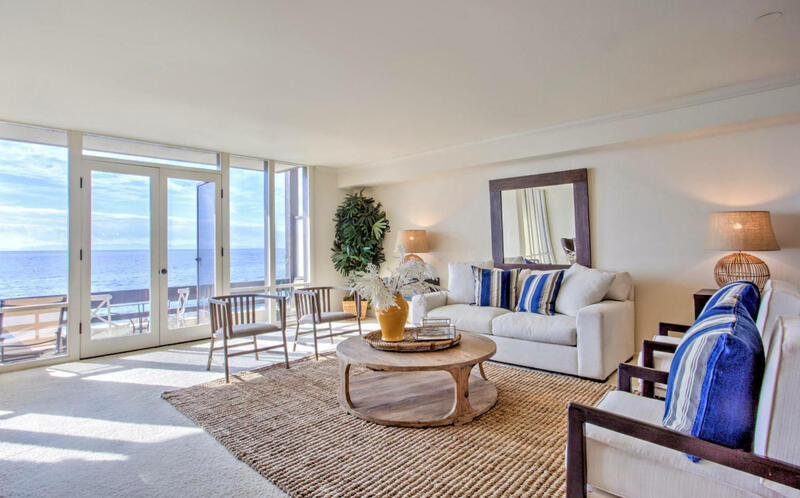 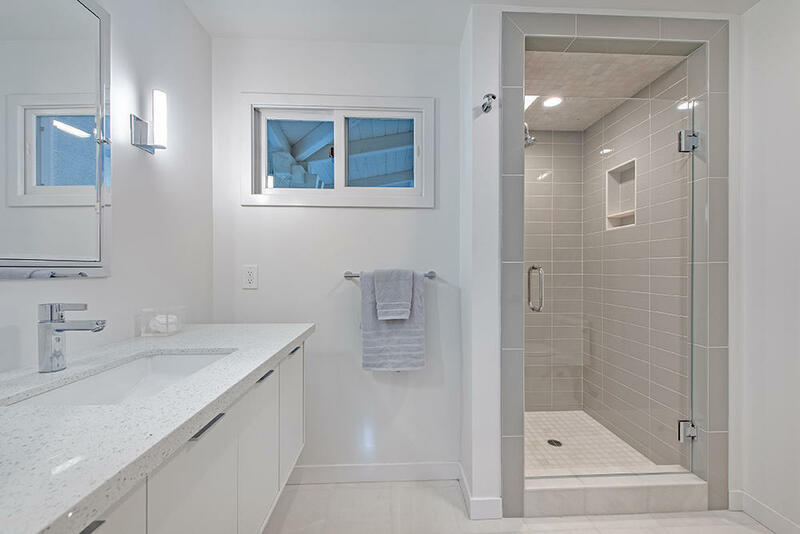 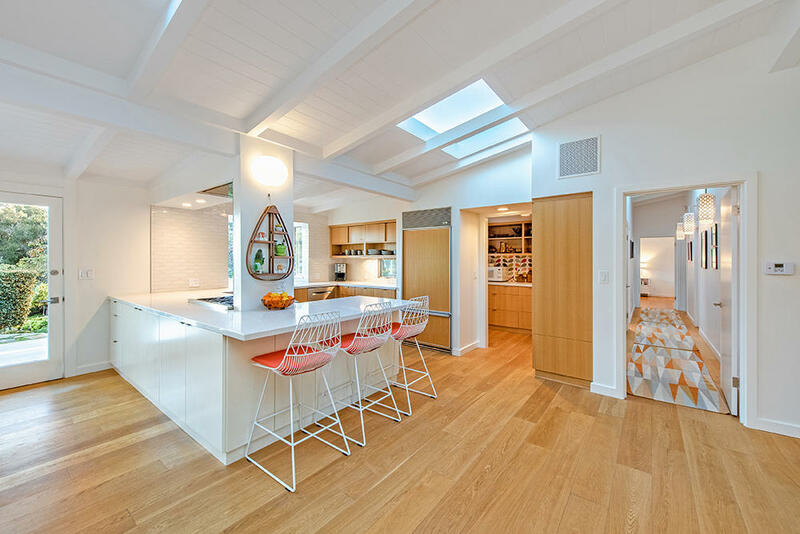 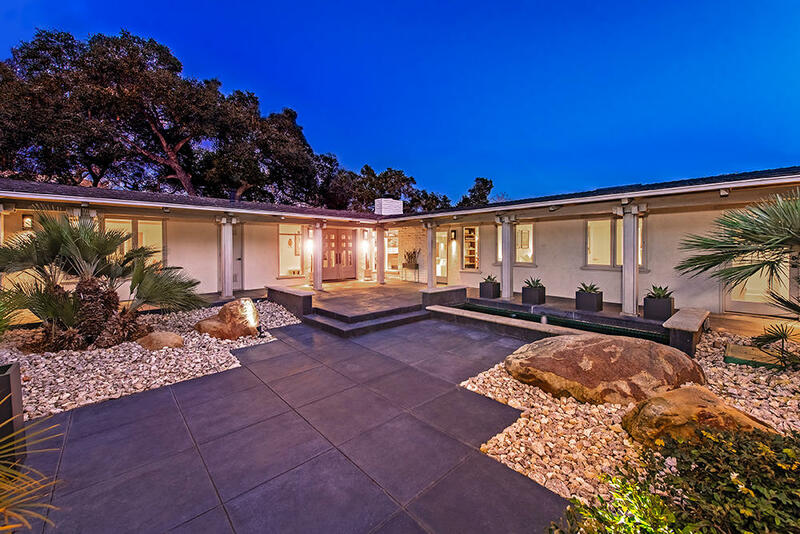 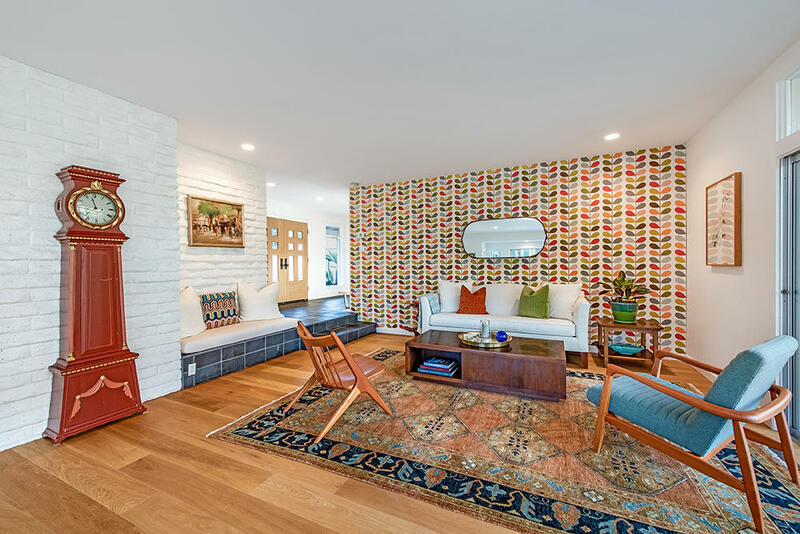 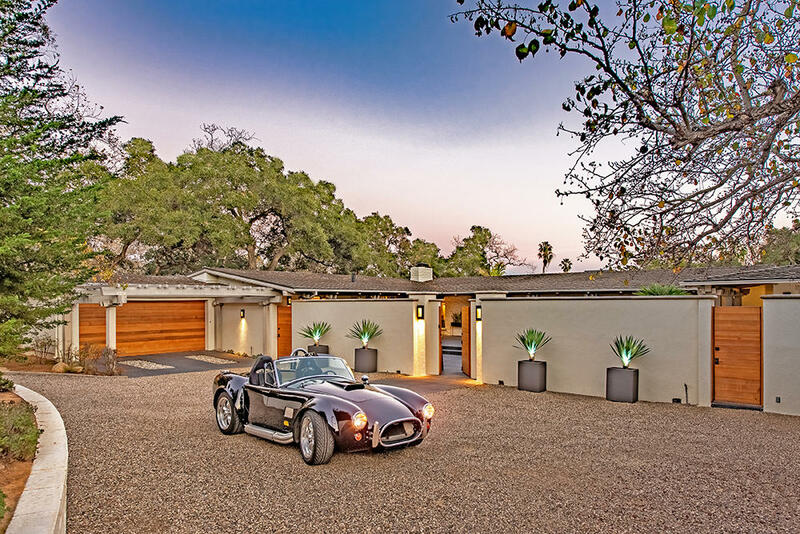 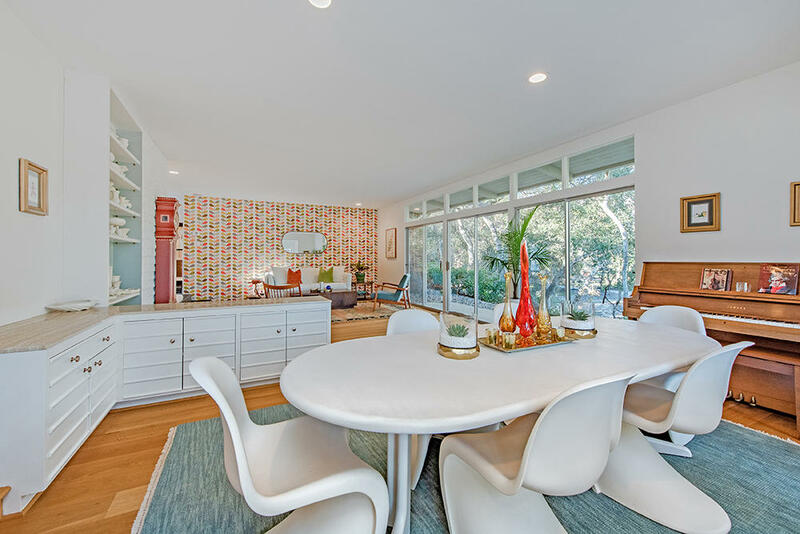 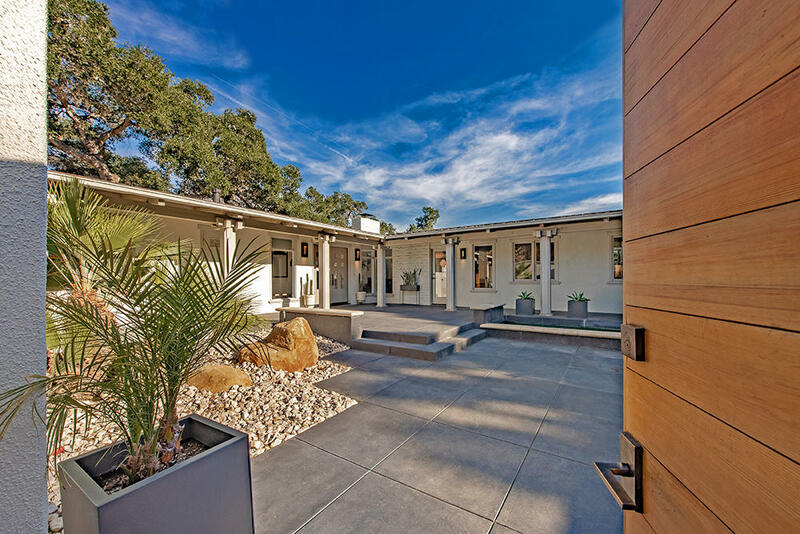 This mid-century modern work of art is characterized by generous open spaces, large glass windows that embrace the outdoors, natural design elements and present day amenities. 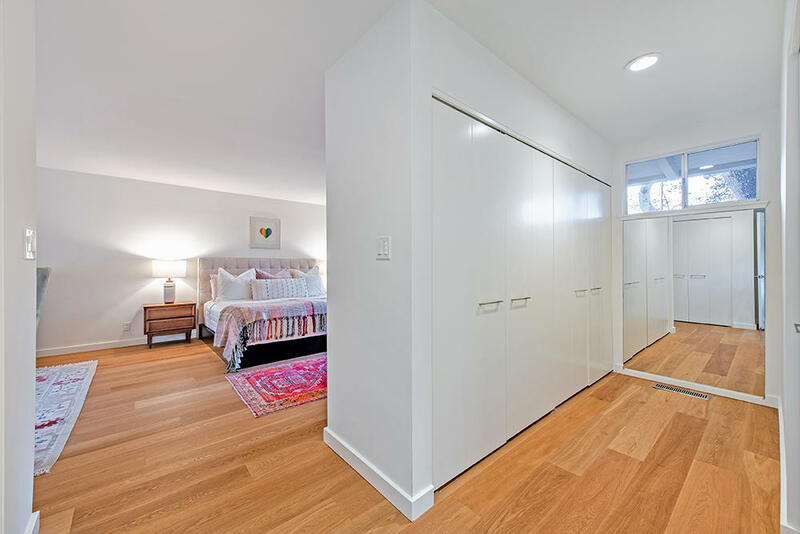 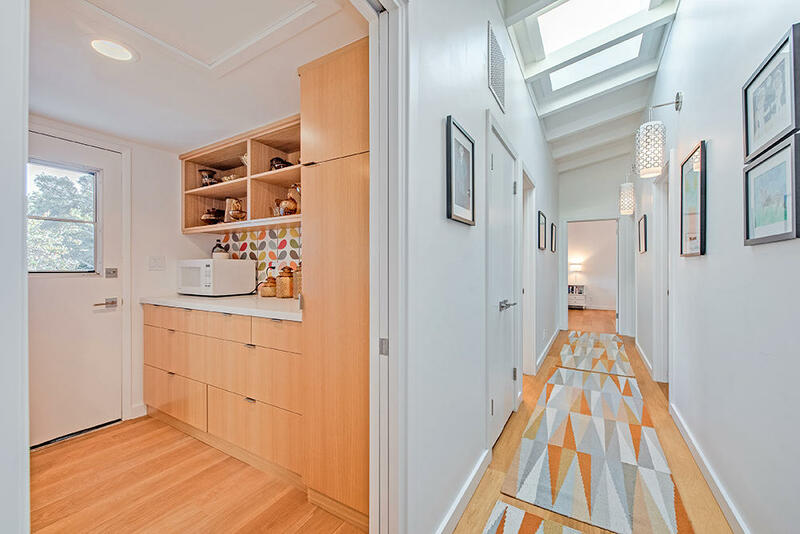 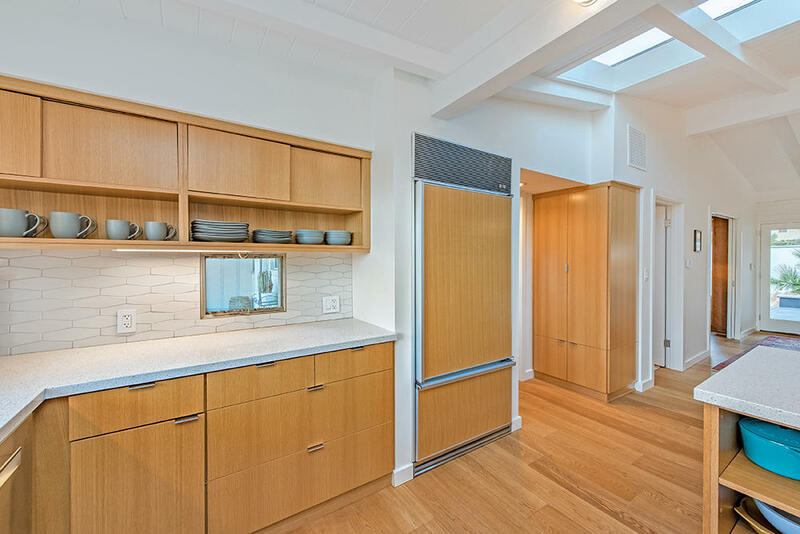 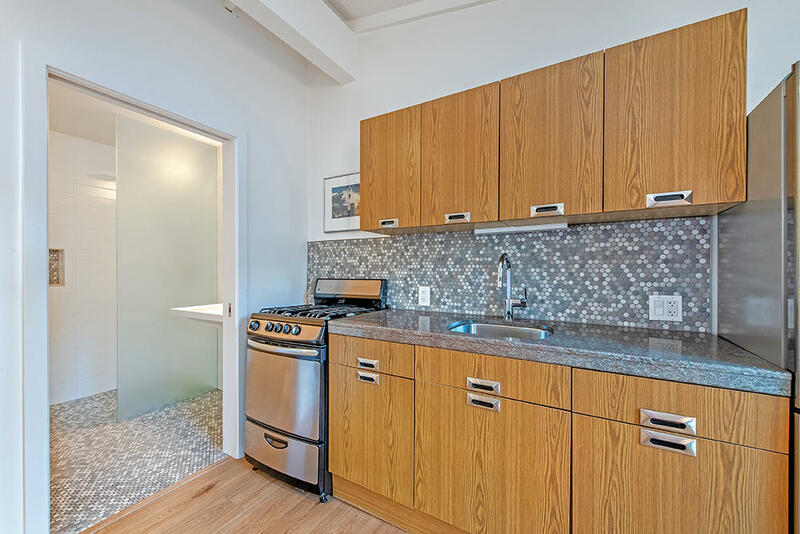 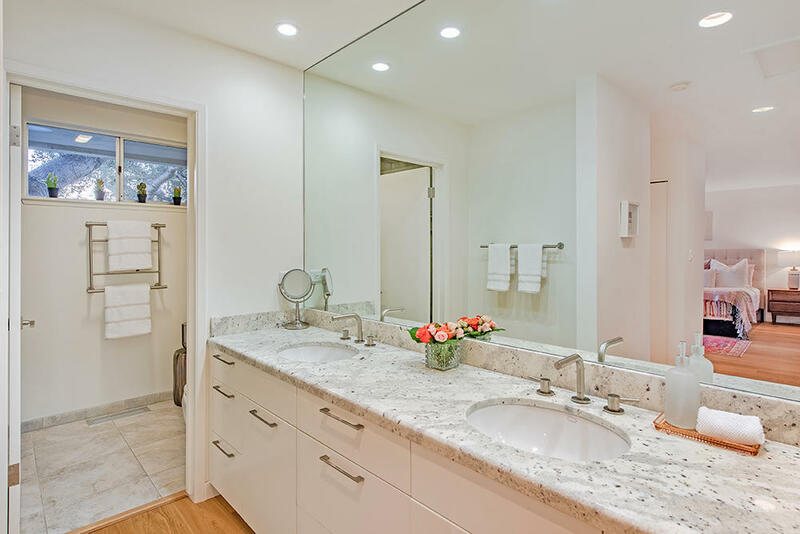 An ideal home for multi-generational living complete with guest studio suite with full kitchen. 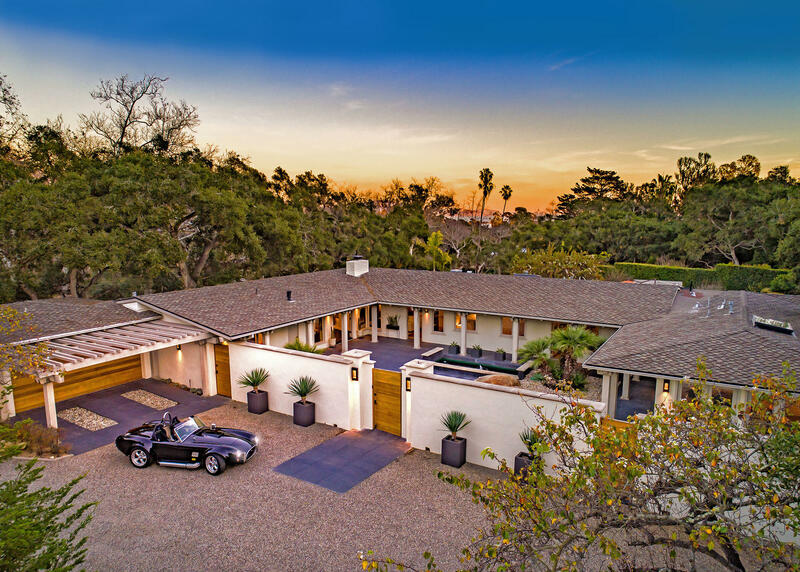 Abounding in sunlight, the single-level open floor plan boasts 5 bedrooms, 6 baths, luxurious master suite, gourmet kitchen with butler's pantry, ample living and dining areas, family room with fireplace, office alcove and seamless indoor-outdoor living. 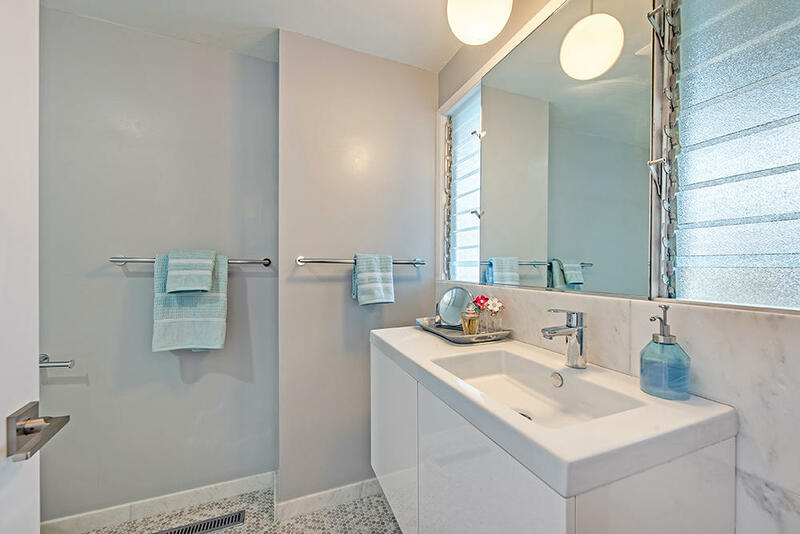 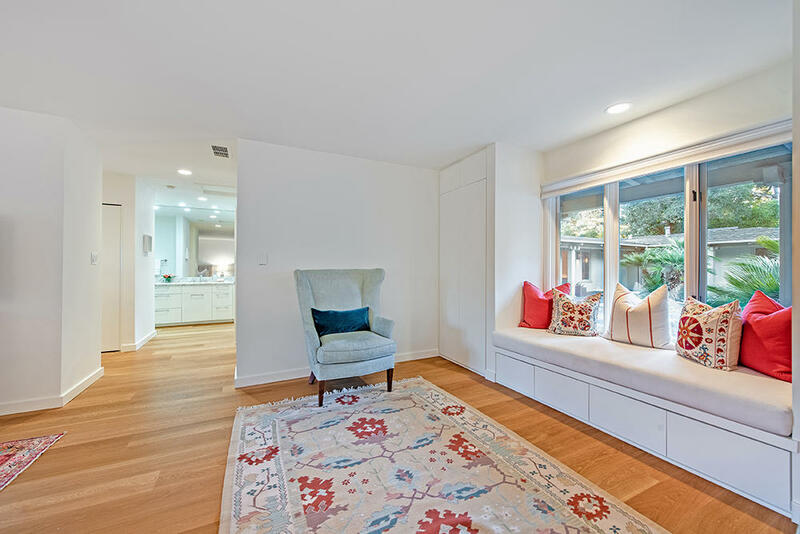 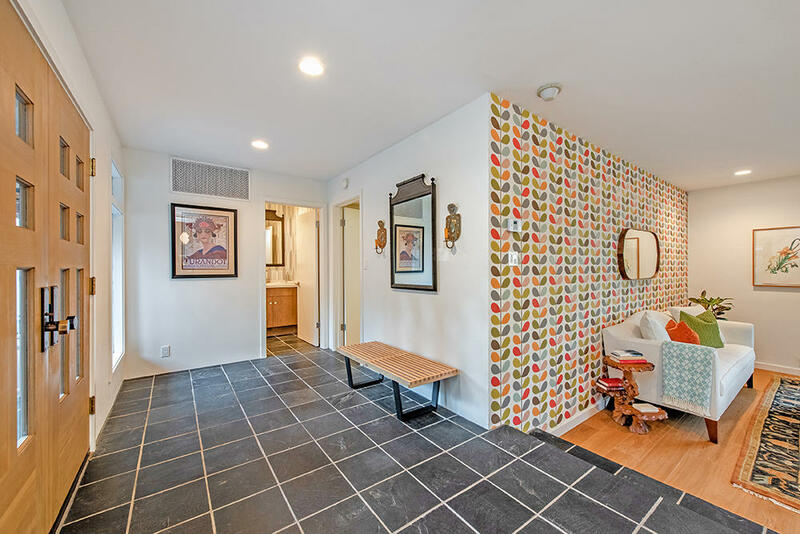 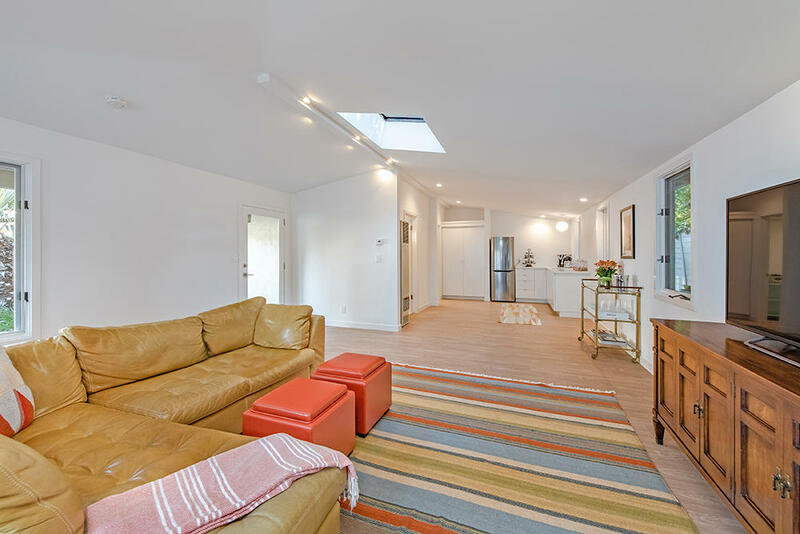 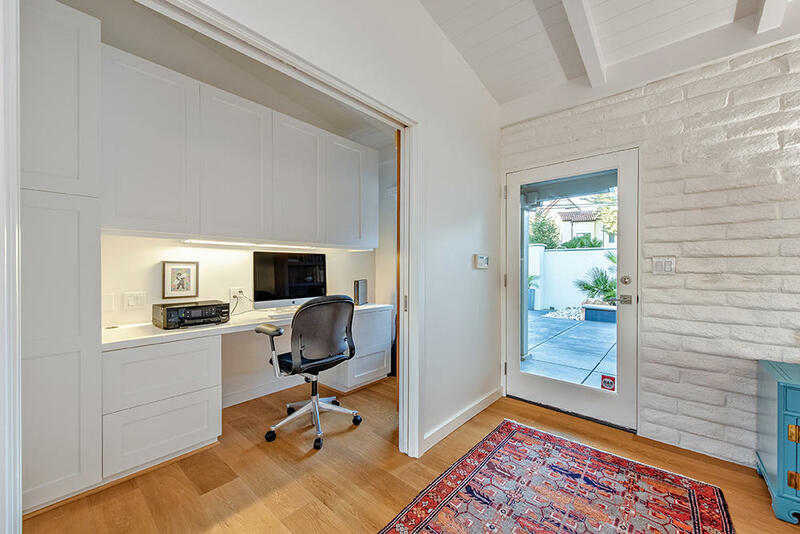 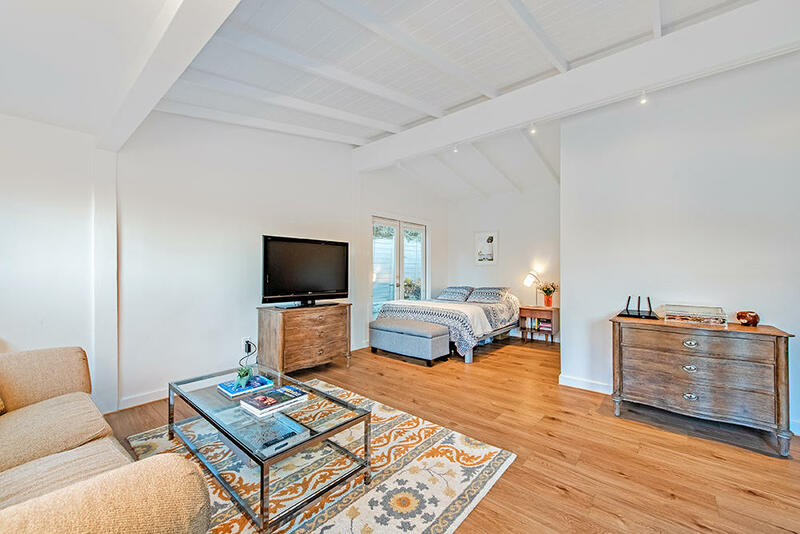 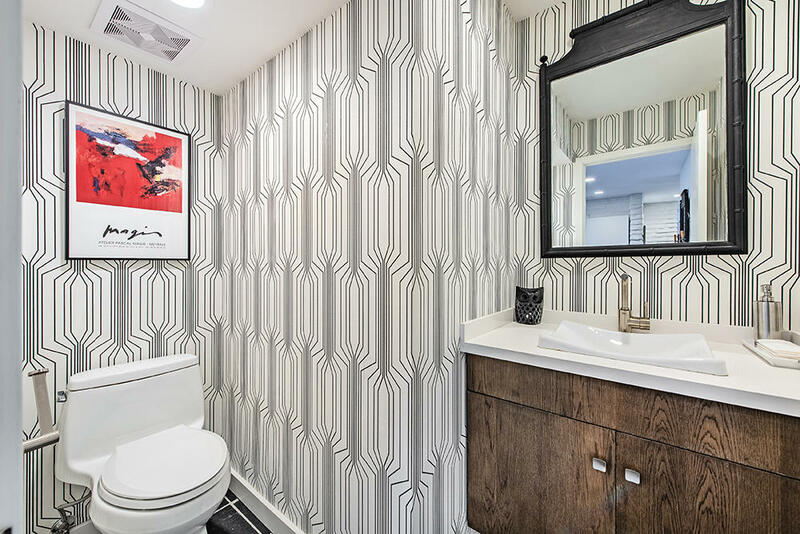 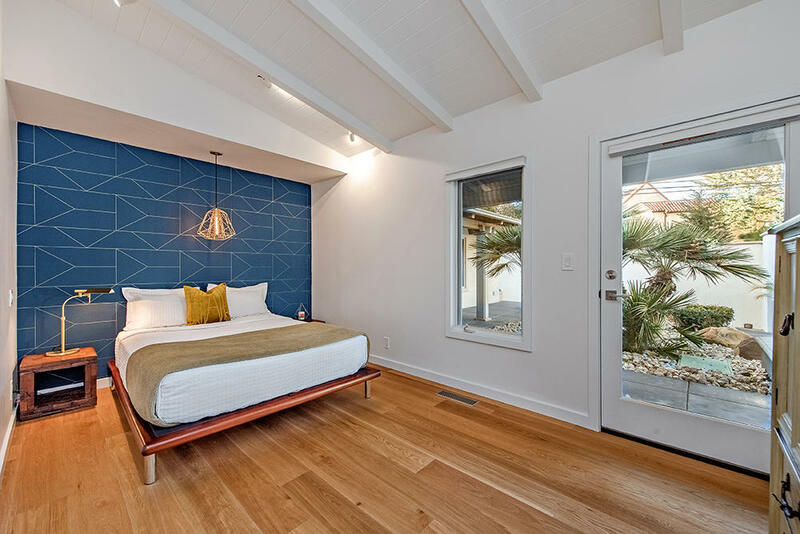 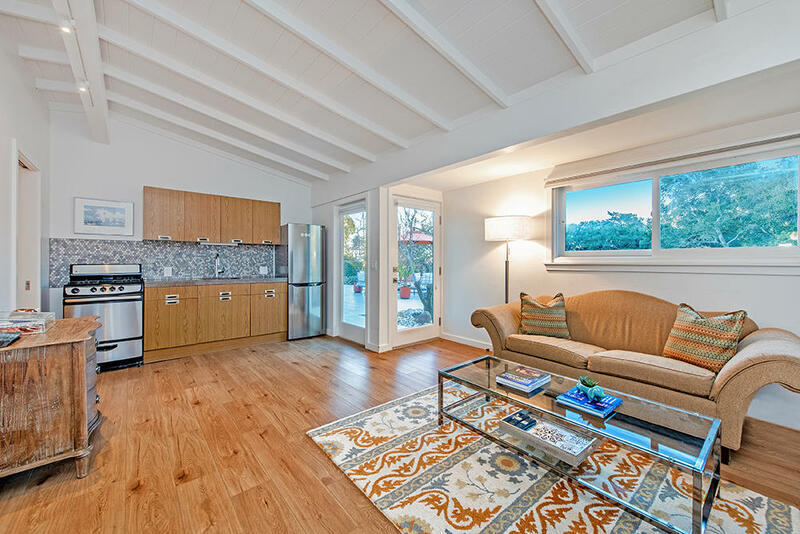 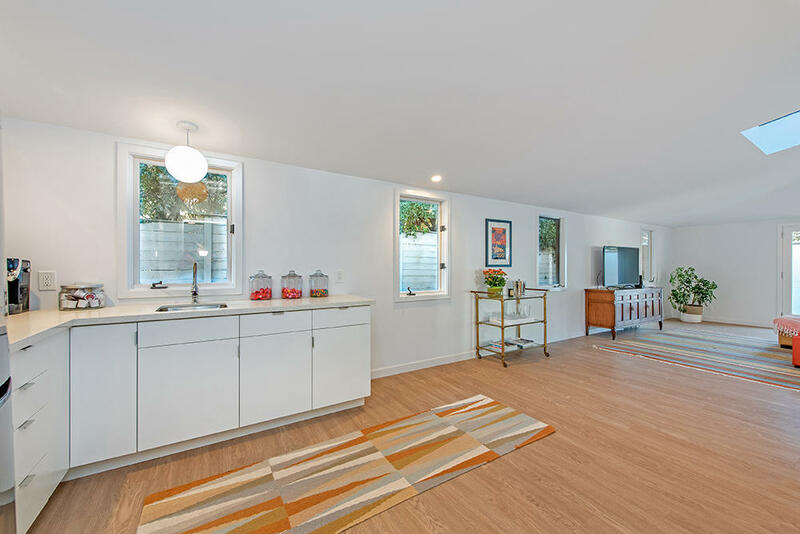 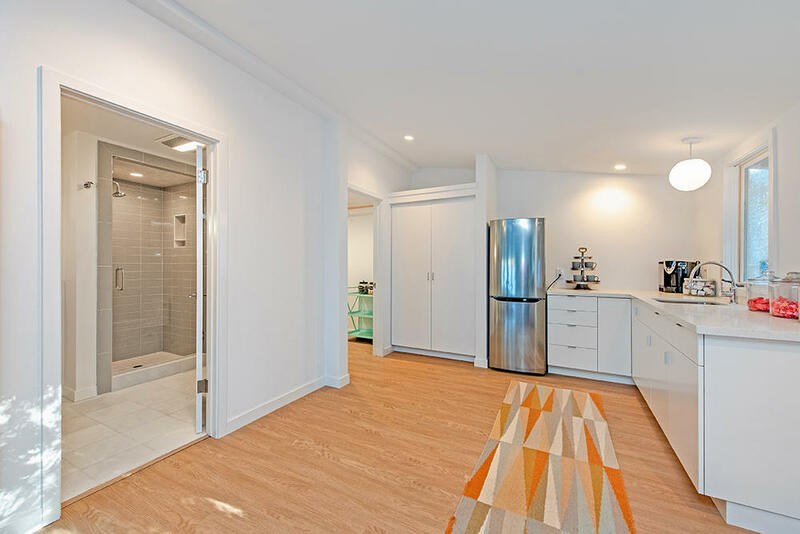 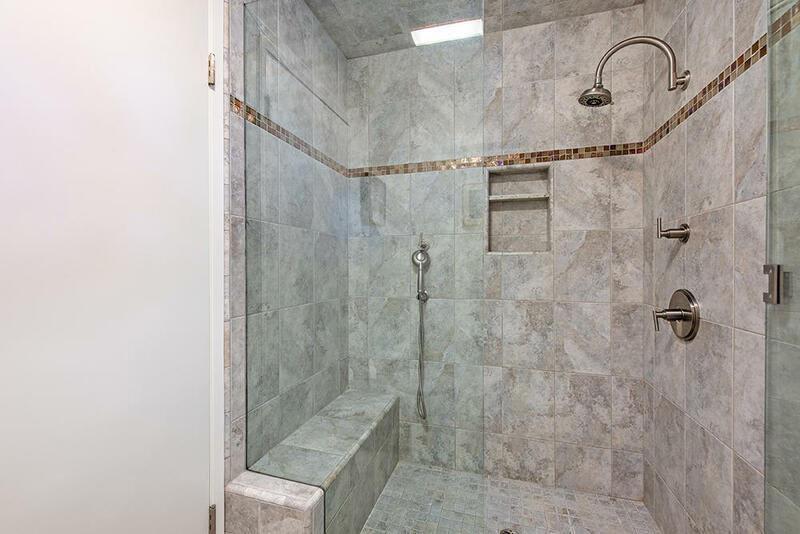 A spacious bonus/recreation room with full bathroom and kitchenette offers space for a gym, game room, art studio, home business or additional guest quarters. 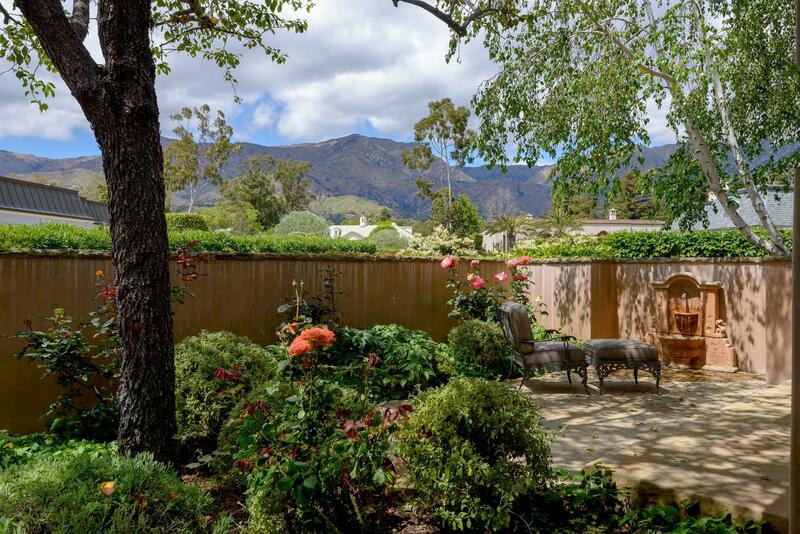 A gated private courtyard invites you in to the lush and peaceful acre lot with fruit trees and fountains. 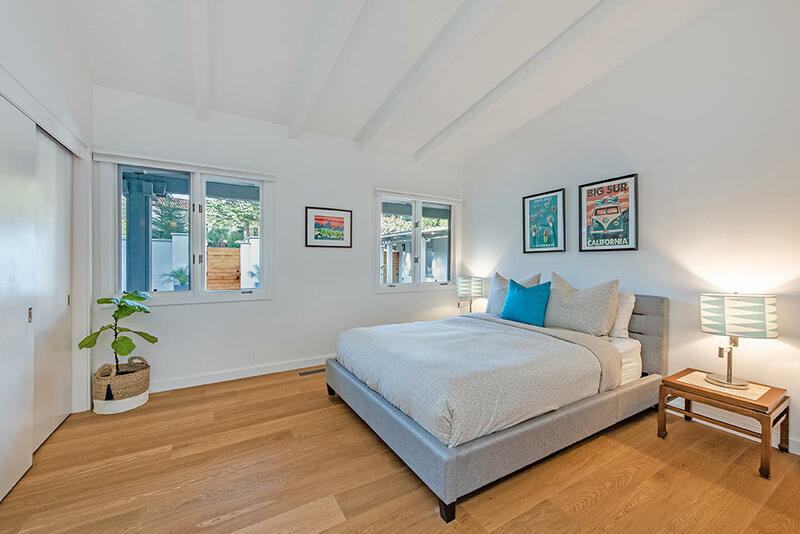 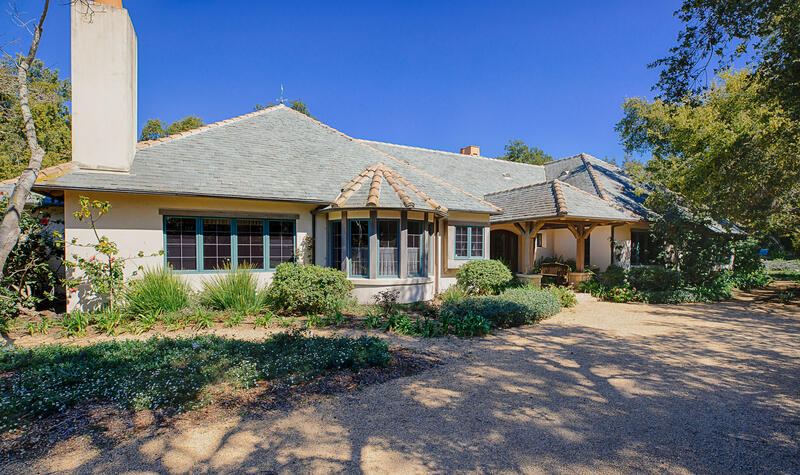 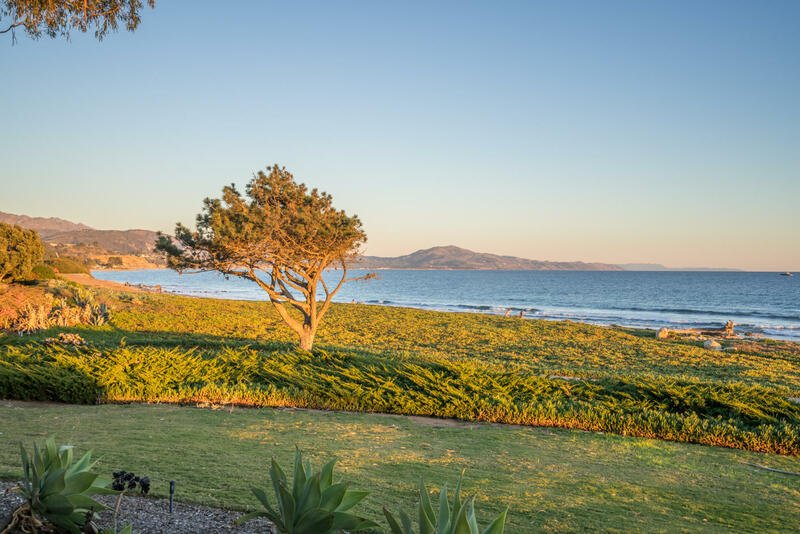 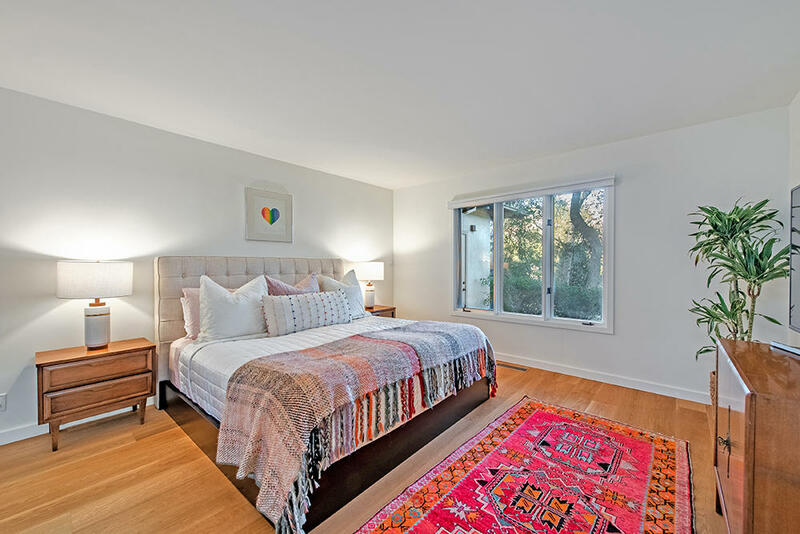 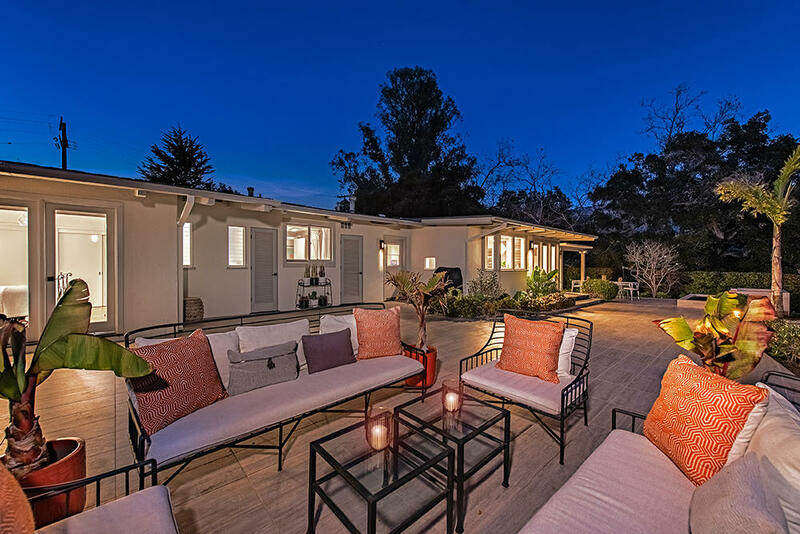 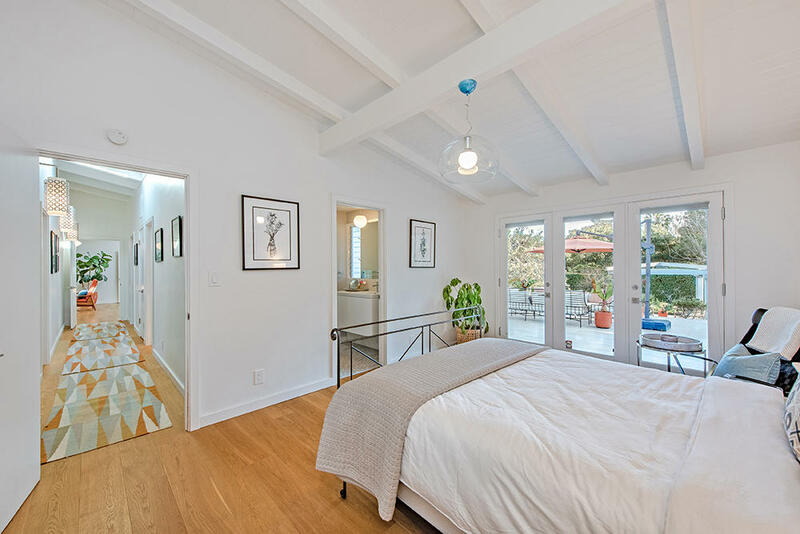 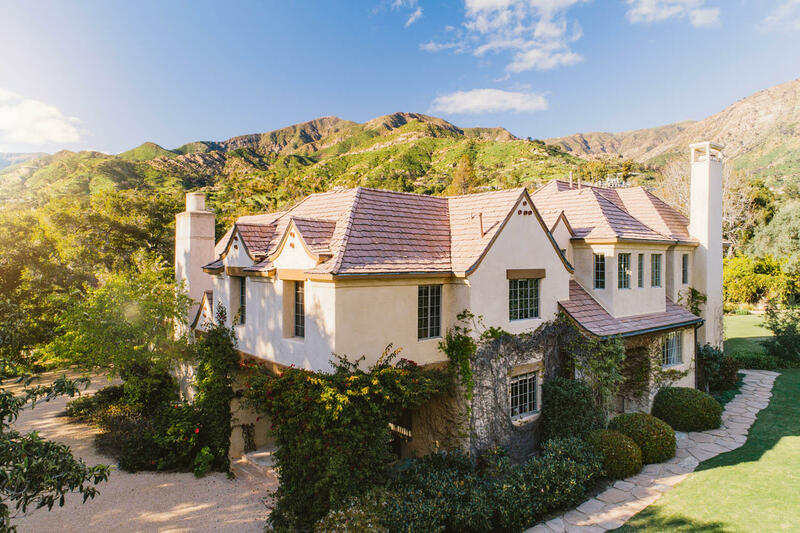 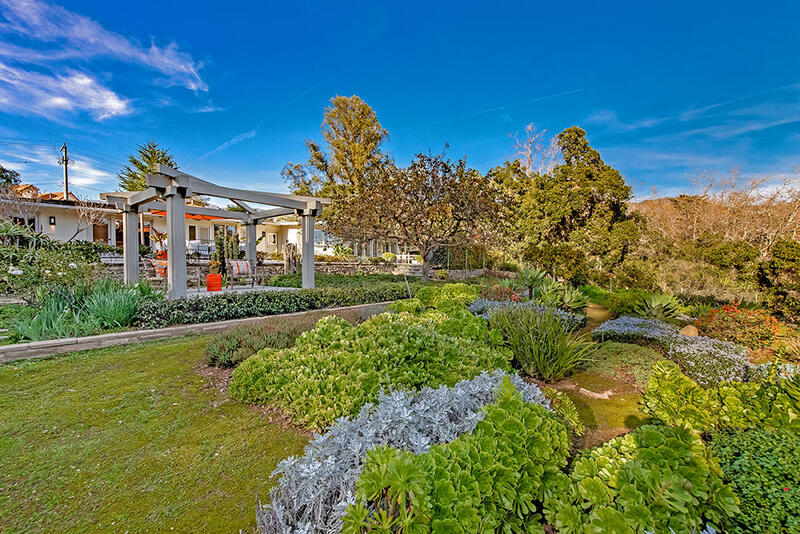 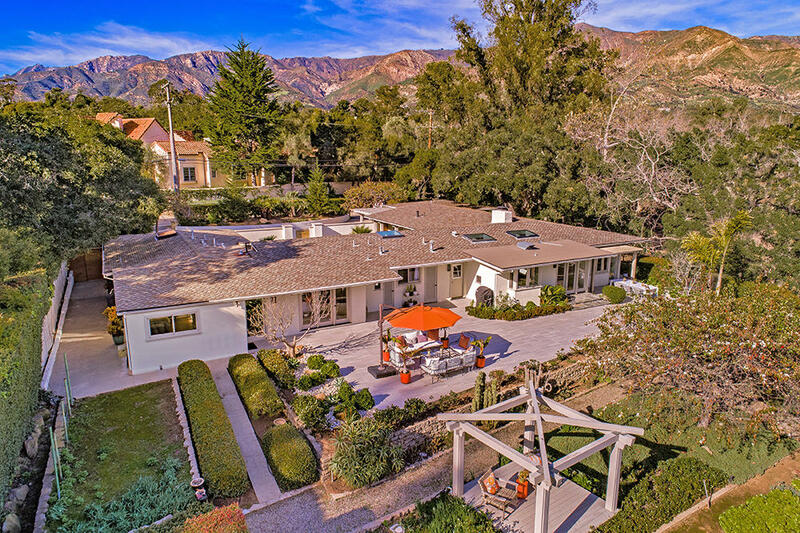 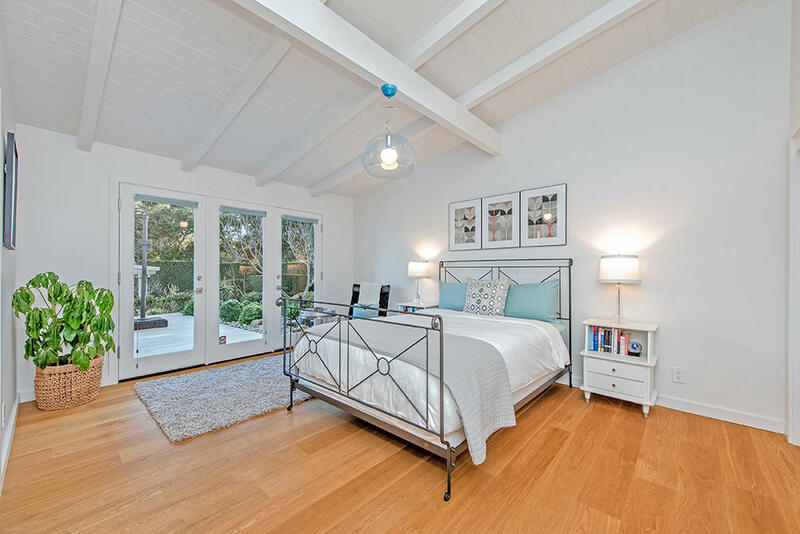 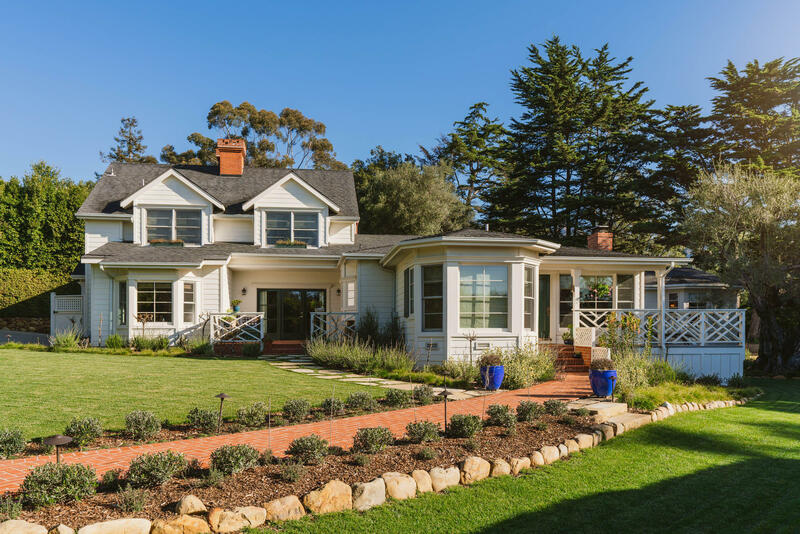 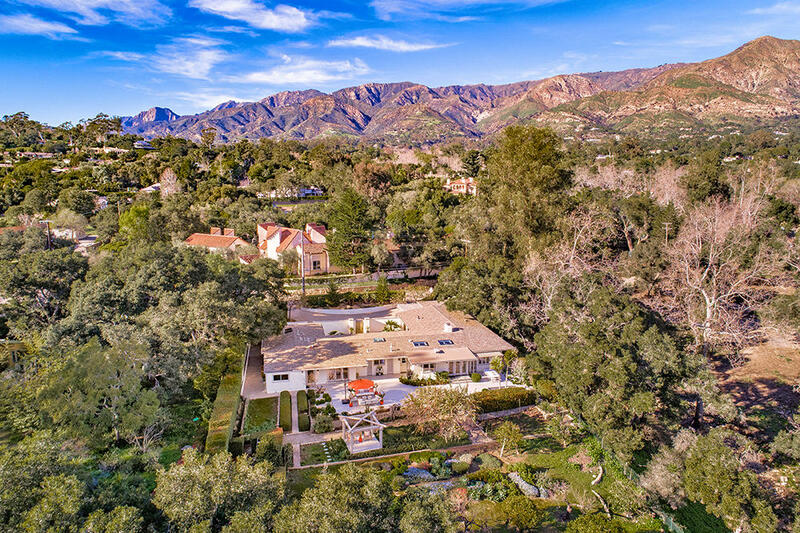 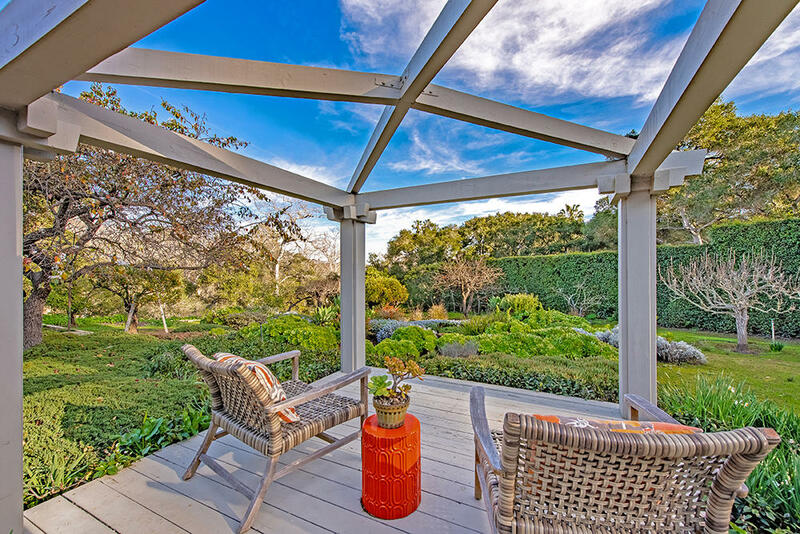 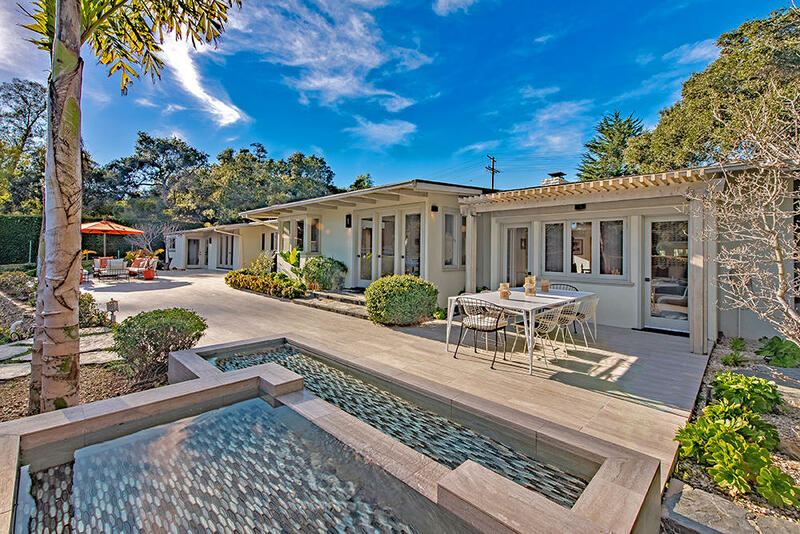 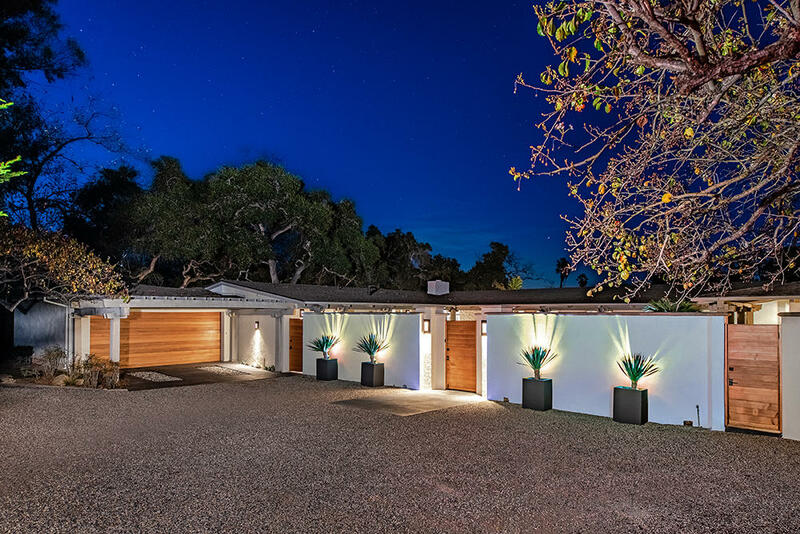 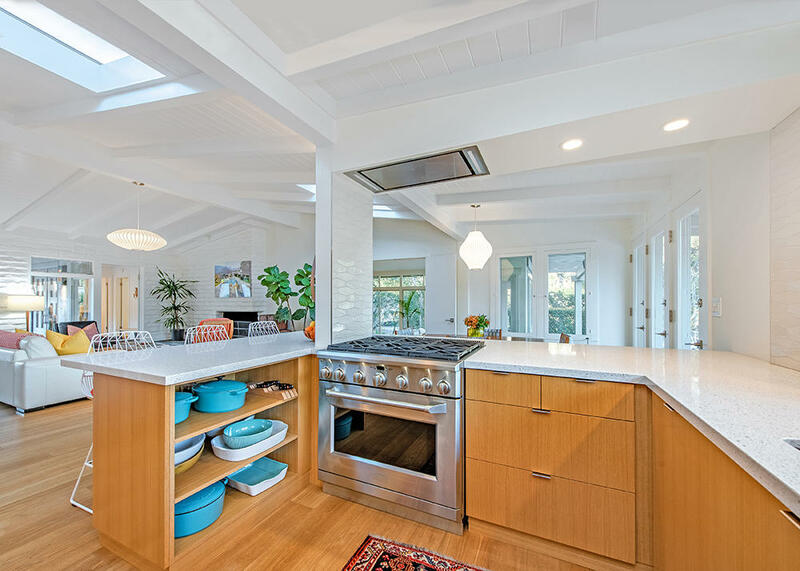 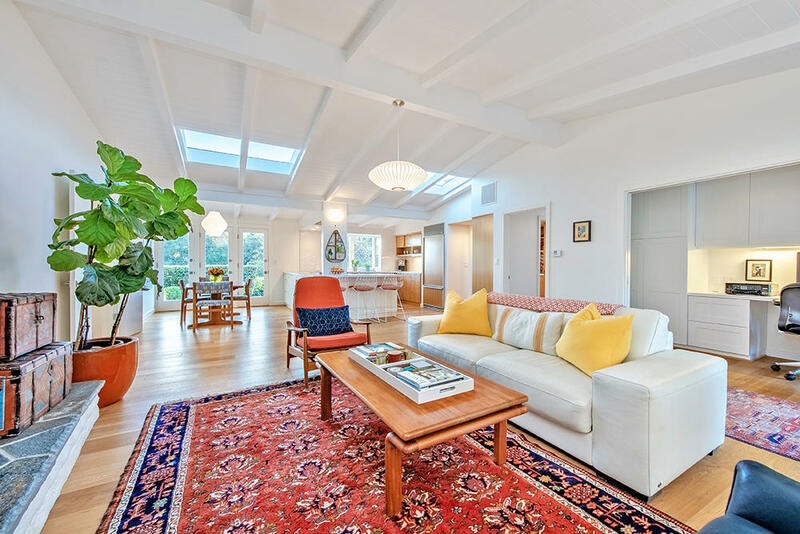 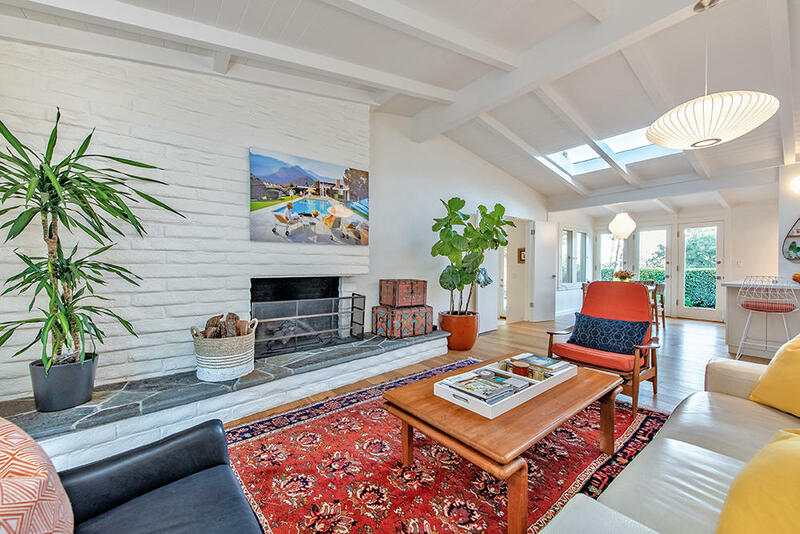 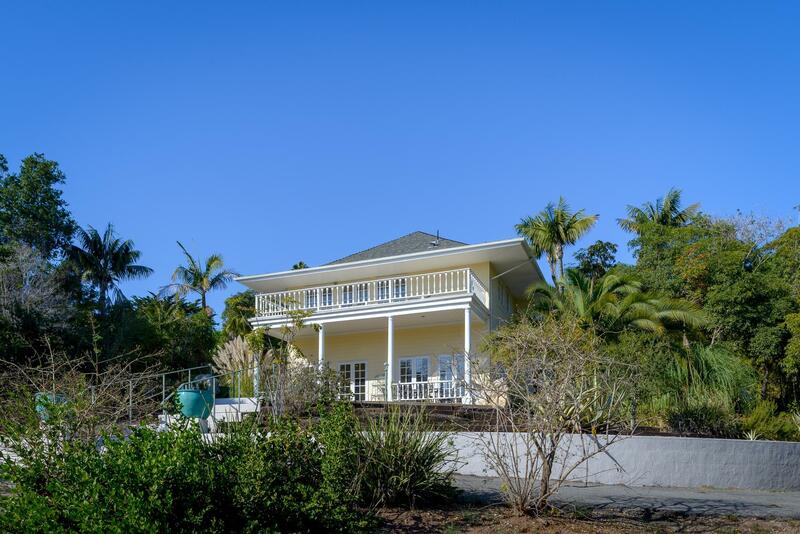 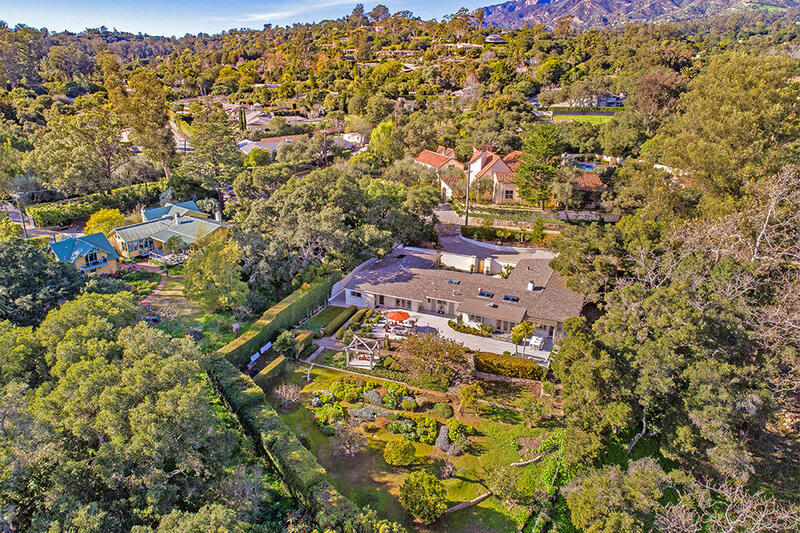 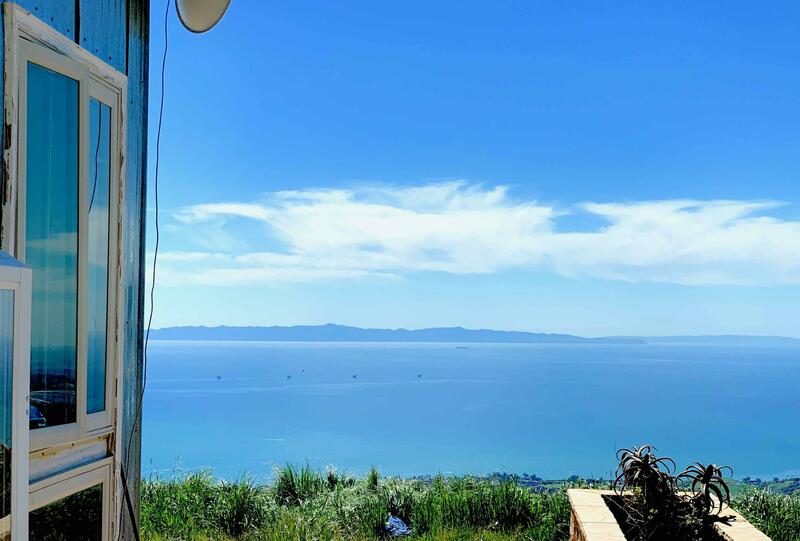 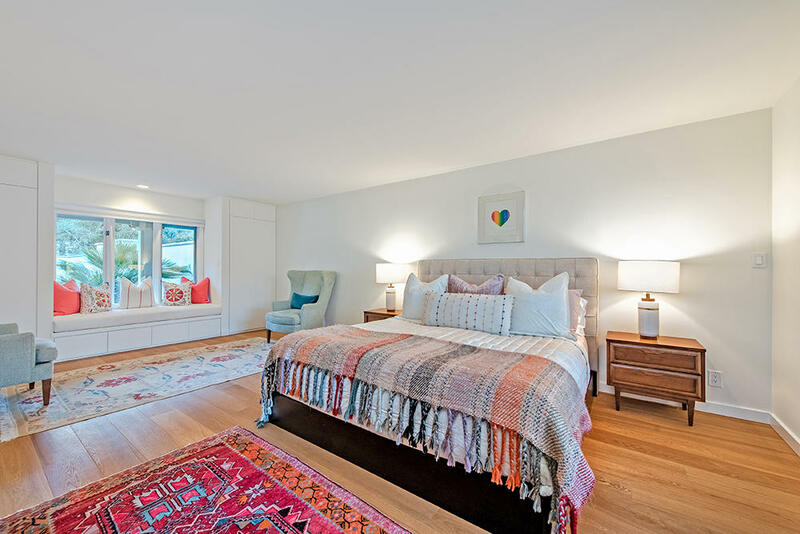 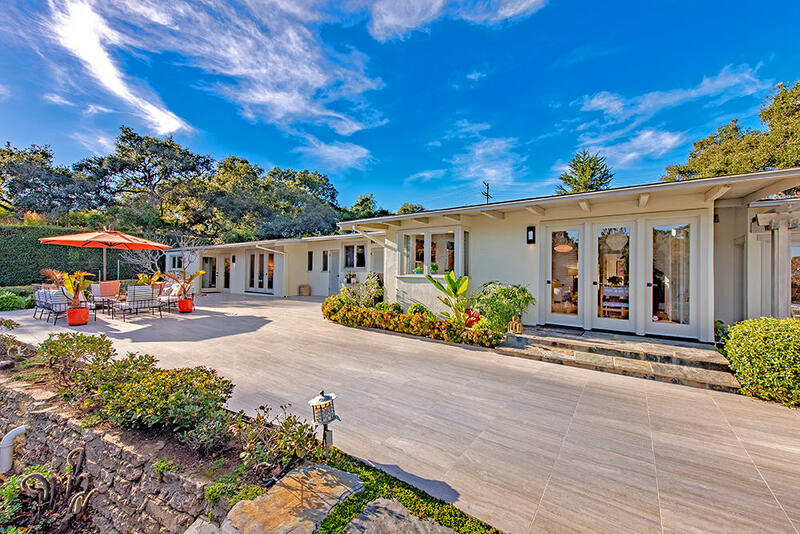 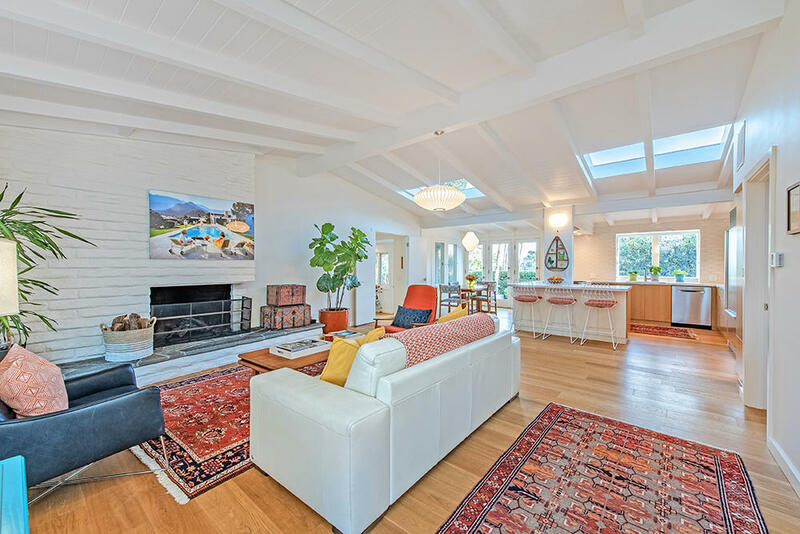 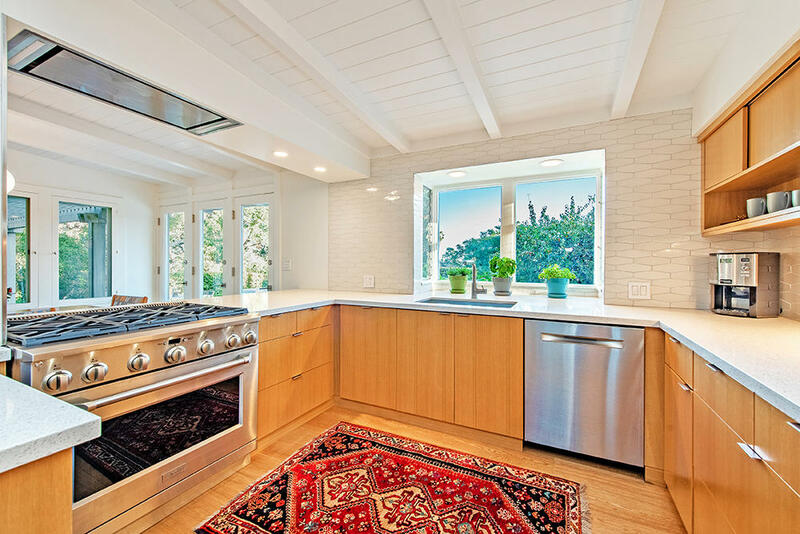 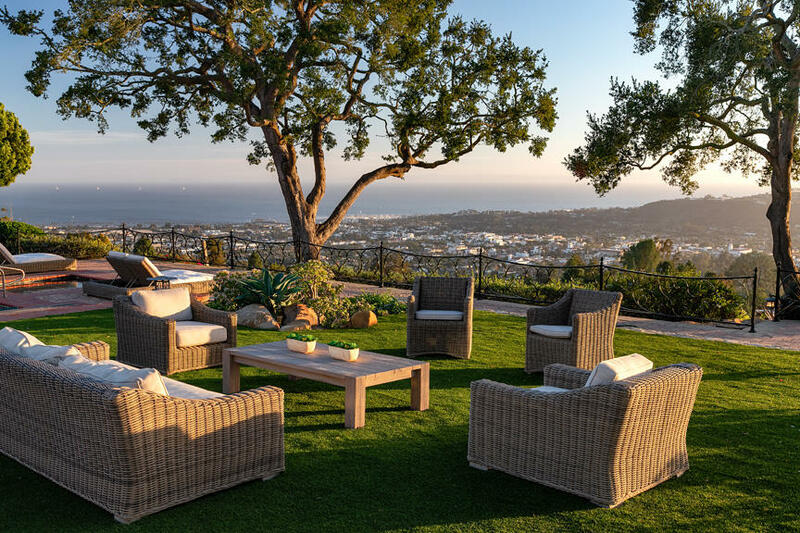 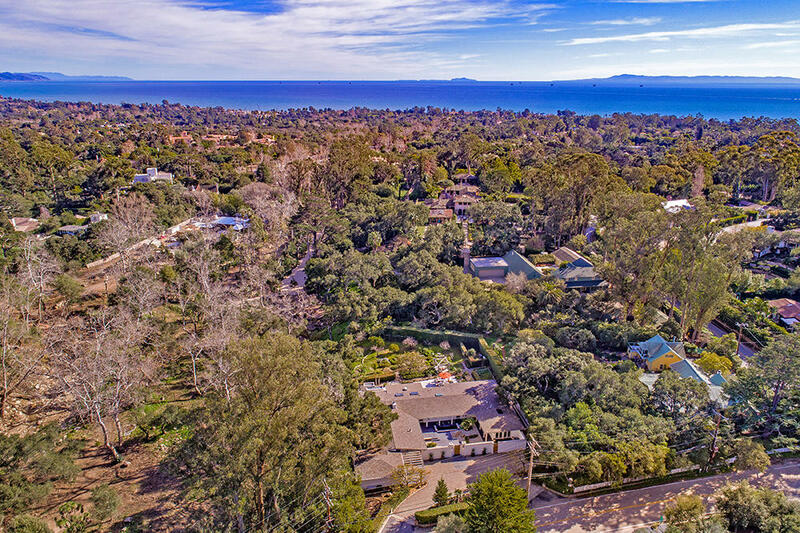 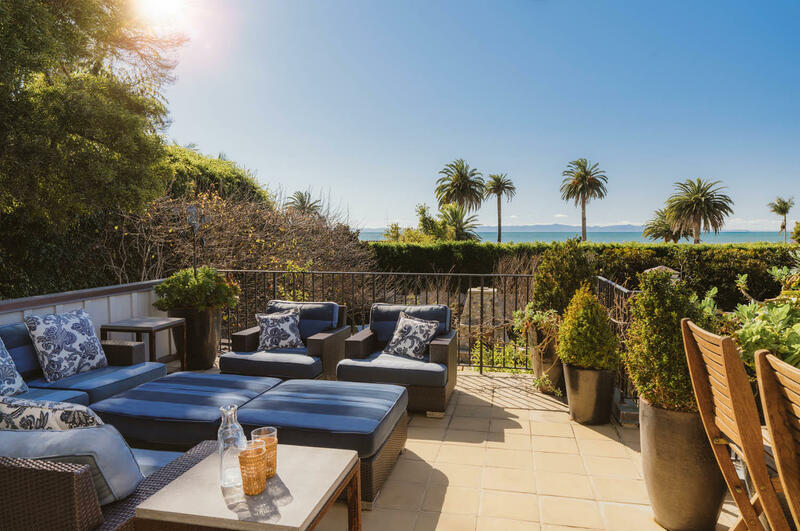 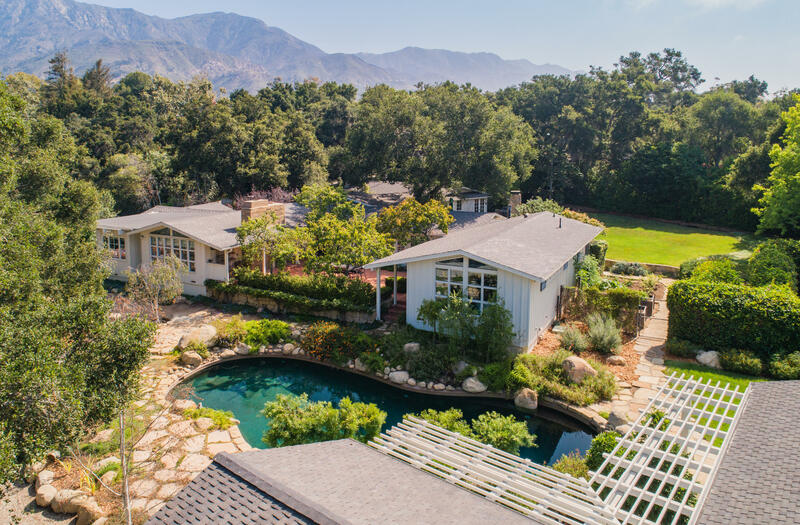 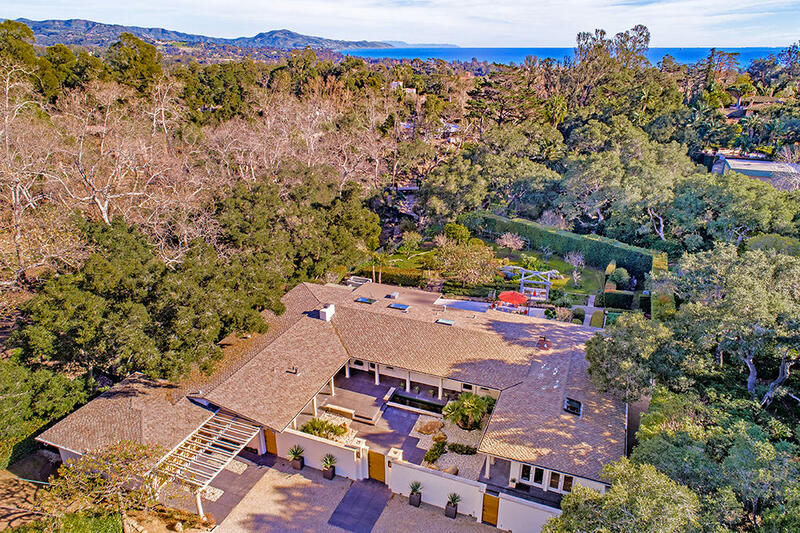 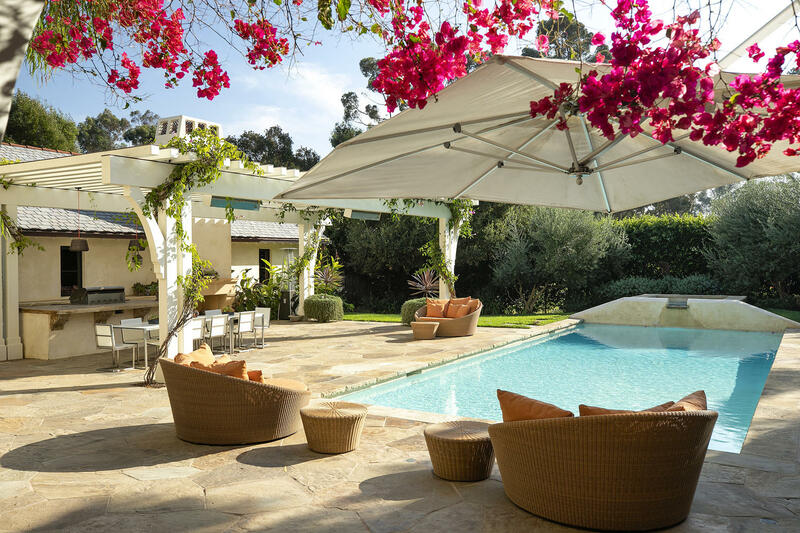 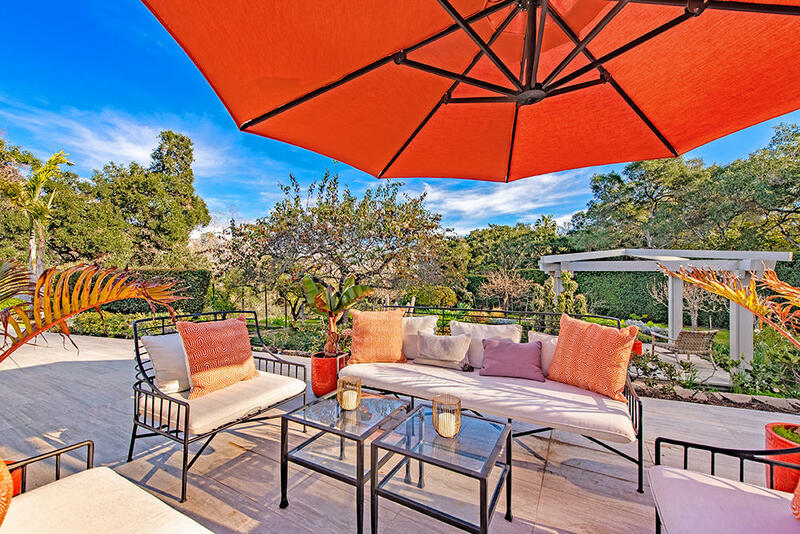 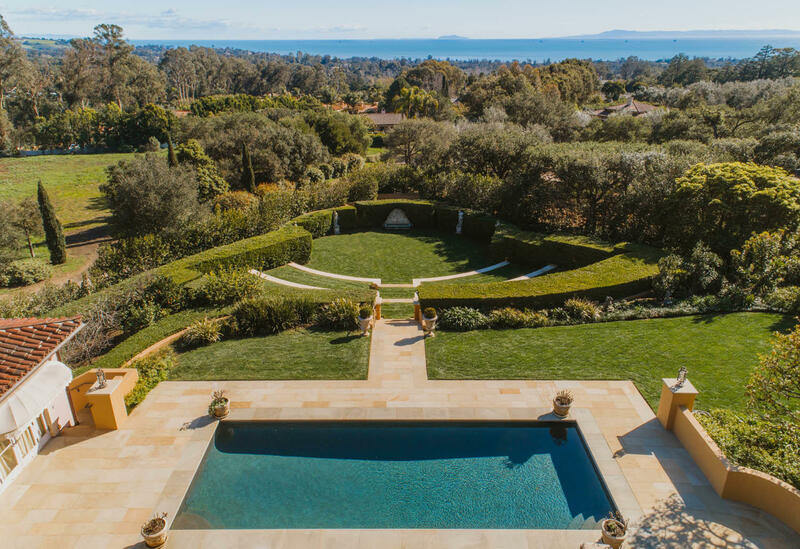 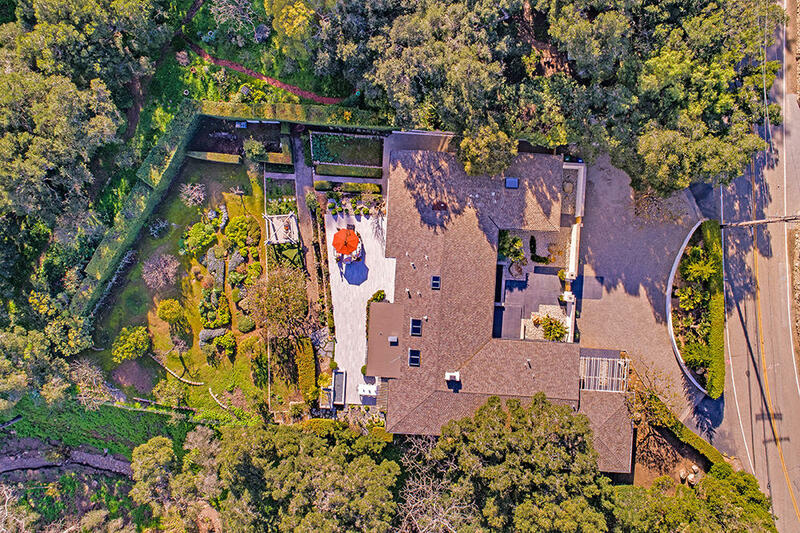 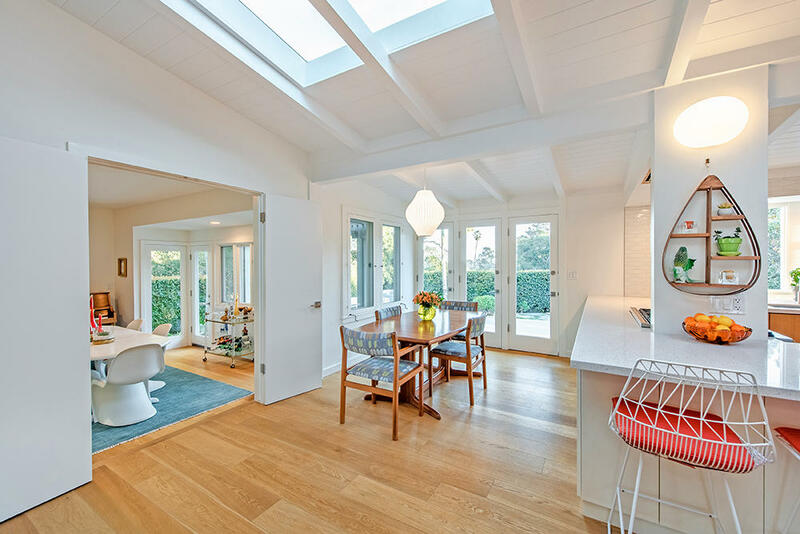 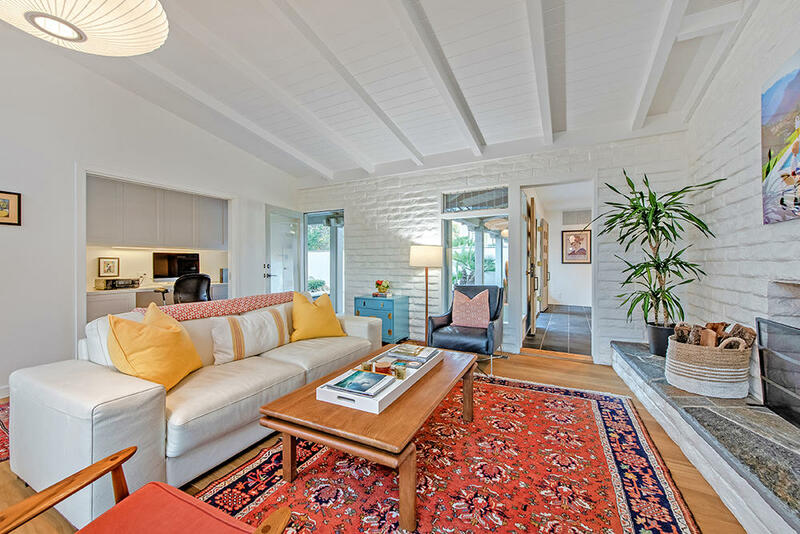 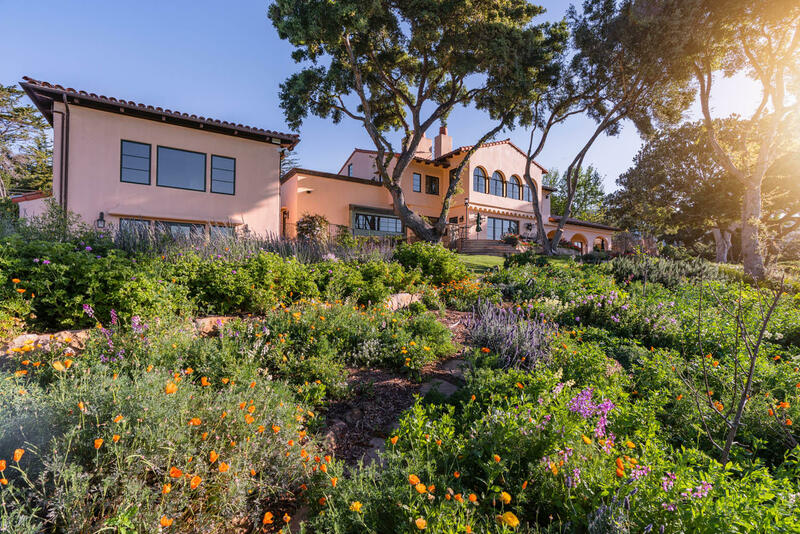 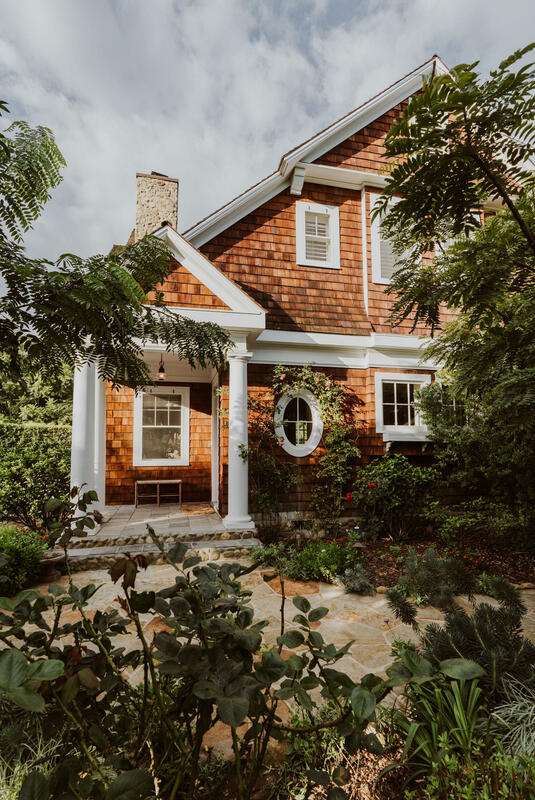 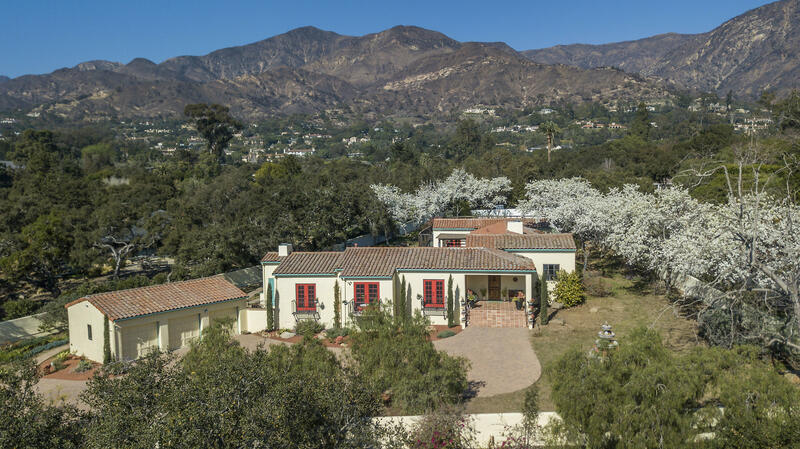 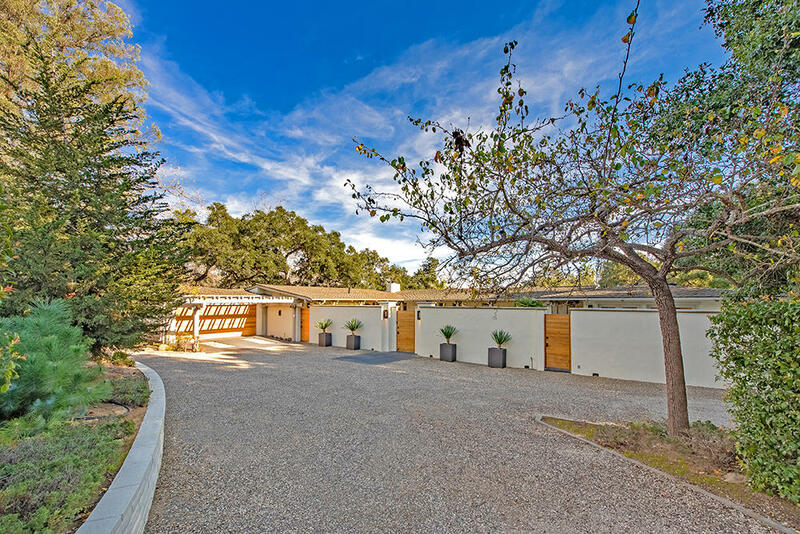 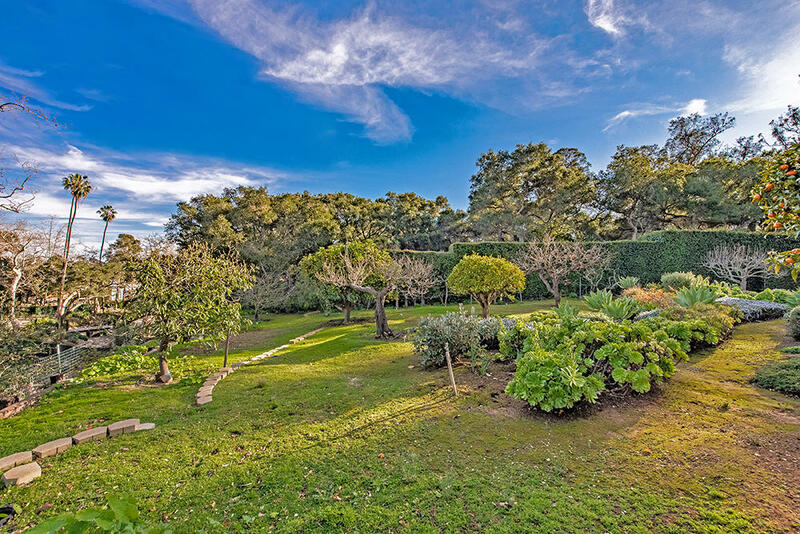 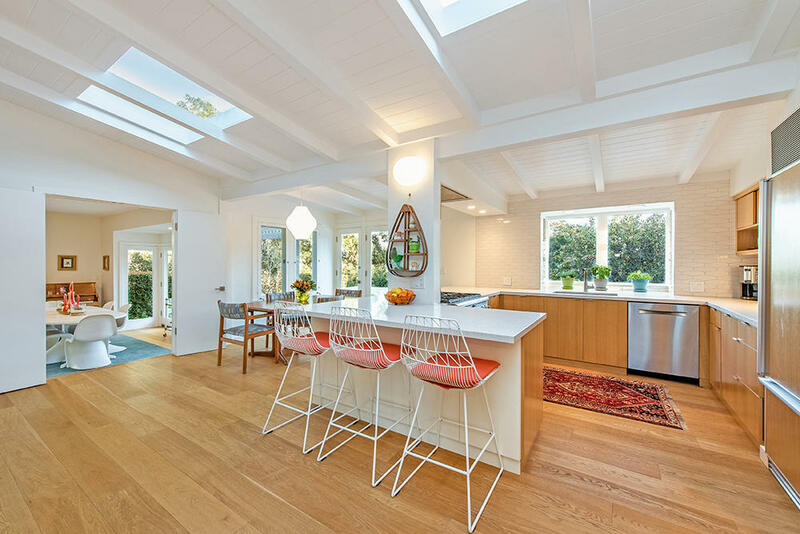 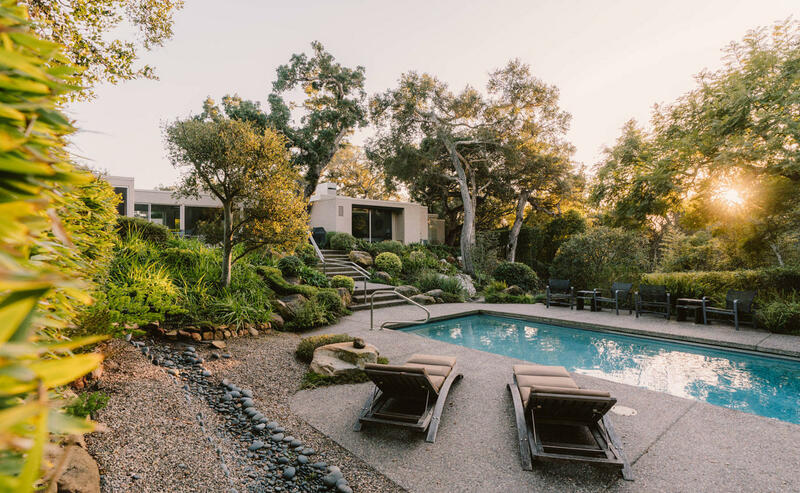 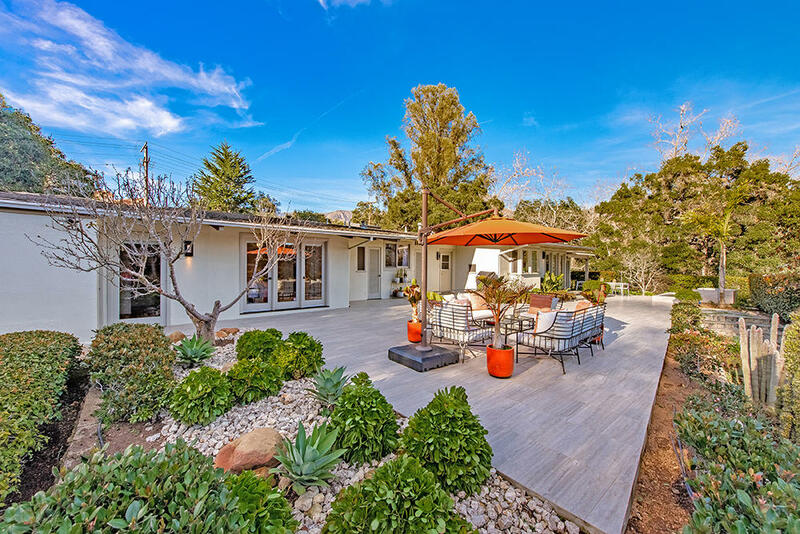 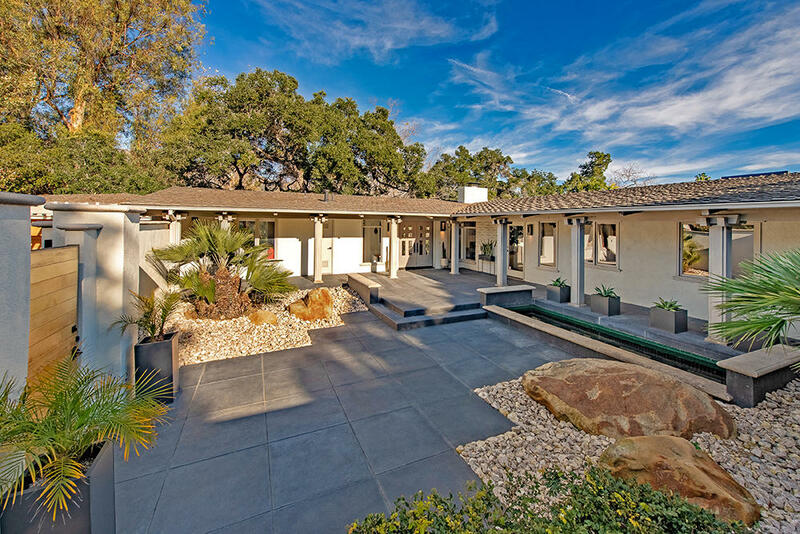 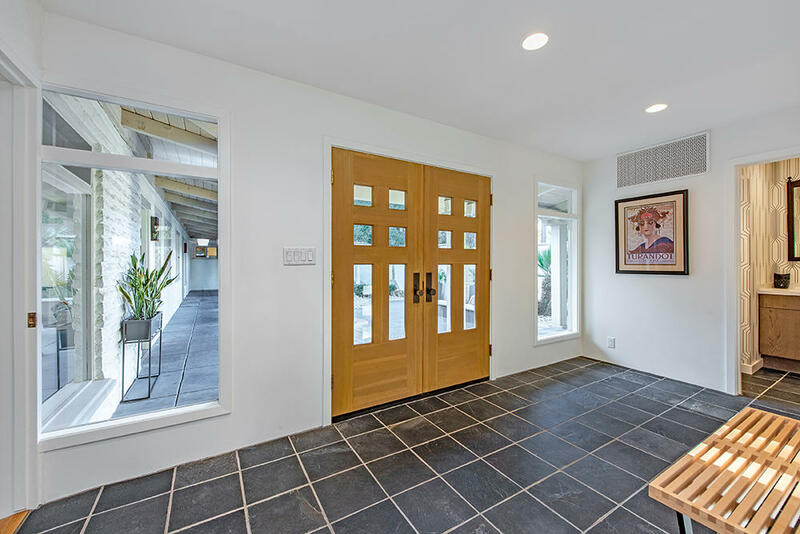 A scenic and private Montecito masterpiece ideally located close to both the Upper and Lower Villages with attendance to desirable Cold Spring Elementary School and less than 2 miles to Westmont College.